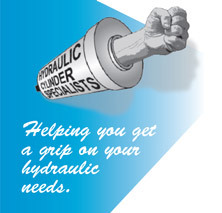 At Dan Krall & Co., Inc., we repair all types of hydraulic components, from the smallest to your largest cylinders. Through American Fluid Power, a division of Dan Krall & Co., Inc., we also service all types of pumps, motors, valves, torque hubs, actuators, all types of power units and hydrostatic transmissions. We service all industries, large and small. Before you replace equipment with expensive new components, check with us. We may be able to save your company money by rebuilding or repairing your existing equipment. From the time you call with a problem until your equipment is returned to you, fully repaired, you will be treated in a courteous and professional manner. Our Hydraulic Service Center is staffed with highly skilled technicians, mechanics and machinists. Our full service machining capabilities include manual lathes, vertical mills, CNC lathes and a Bridgeport. We offer welding services, including bronze overlay. We can make changes to existing hydraulic cylinders, make repairs to damaged cylinders or fabricate new cylinders to your specifications. Dan Krall & Co., Inc. will disassemble and evaluate any damaged cylinder to discover what the origin of the problems are. They are then repaired as needed with quality replacement parts and tested. All parts and repairs meet or exceed O.E.M. specifications. We stock parts for most brands of pumps, motors, and valves. If we don't have it, we'll find it or make it. We also stock many sizes of pre honed tubing and chrome bar stock. Dan Krall & Co., Inc. is your best bet for rebuilding because your hydraulic components are tested at our facility on one of our modern test stands to simulate actual field conditions. 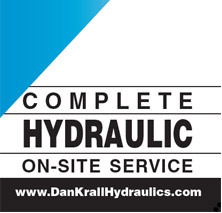 Dan Krall & Co., Inc. will re-install any hydraulic component on any type of equipment in house or on site. Dan Krall & Co., Inc. will provide your facility with on site service. Our trucks are staffed with highly skilled, professionally trained technicians and are fully equipped with welders, air compressors and hydraulic testing equipment. We provide 24 hour service seven days a week. Got a late night problem that demands immediate attention "Call Krall" and we'll get a team together. We service all types and brands of emergency equipment like fire trucks, command centers and support vehicles. We also service garbage trucks, refuse equipment, commercial sweepers, trash compactors, balers and recycling equipment. Copyright © 2014 Dan Krall & Company Inc.